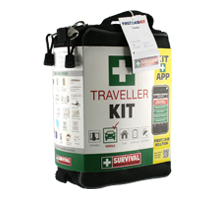 Portable and user friendly, this compact first aid kit provides all your everyday first aid essentials at an affordable price. Ideal for every home, office, car or boat. Put one in the car or boot, hang it from a hook, swing it from your backpack or carry it by hand. Keep it handy and be prepared for any emergency.